When Dan Girardi took the ice for practice Monday morning and said he was fine, I asked that he share his super powers with his teammates. Apparently he did as Ryan McDonagh took to the ice for practice yesterday and said the same thing – he’s fine and is ready to play tonight. I’ll be honest – maybe it was because I was still mad at how they played and responded in the game itself but I was never really worried about Girardi and McDonagh after that game Saturday night. Sure I wanted to know what was going on with them and wasn’t truly confident they would be alright until I heard otherwise, but I never panicked that the Rangers would lose them long term. Put it this way – when Girardi missed practice with that “maintenance day” earlier in the month, I knew right away something was wrong. I didn’t have that same feeling this time. I just subconsciously knew they would be okay. Thankfully, it looks like I was right. 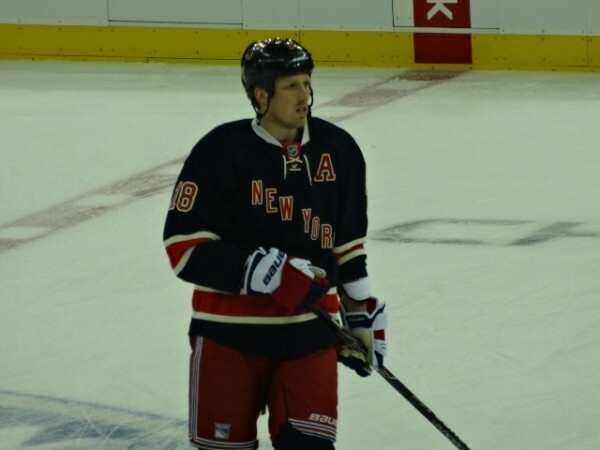 In other good news, it looks like Rick Nash will be returning as well. He is still calling himself a game-time decision but sounds like he will be in the lineup. It would’ve been nice for the Rangers to win a game while he was out but hopefully him being back gets them on the right track. Michael Del Zotto is still questionable but did skate this morning. Did anyone think the Rangers could have a full lineup by the end of the week on Sunday morning? If you say yes, you’re lying. Please, please, please send Chris Kreider back to the Whale. I’m really not asking a lot. And don’t tell me that the team needs bodies. If they do, call someone else (not named Christian Thomas) up and have them play the 4:33 Tortorella gave Kreider last night. 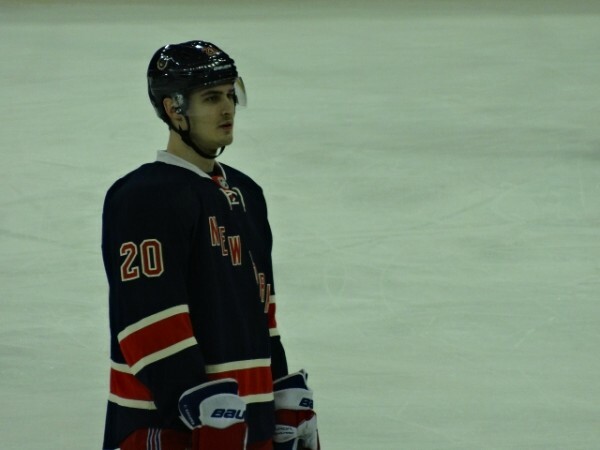 There’s no point in having a kid, especially one with as much promise as Kreider has, playing those minutes. None. I’m not giving up on him. I’m going to be blunt to any fans who are…check your fandom at the door and go root for another team. The kid has potential and will be a superstar. There is no doubt in my mind on this. And yes, I do believe he will do it for the Rangers. But he isn’t ready. There is nothing wrong with that. He isn’t the first kid in this situation and won’t be the last. I’m sure many don’t remember but Marc Staal played an overage year of Juniors because the Rangers didn’t think he was ready yet. He turned out just fine. Simply put, the jump from college to the AHL is a big one. There is nothing wrong with letting him handle that one first. Ryan McDonagh had to do it. Then, when he’s dominating down there, bring him to the NHL. Until then, please just send him down. I debated placing a pun in the title but figured you will be seeing those everywhere so went with a standard for this team. I guess it’s what fans should expect when there really is only one line going. Unfortunately one member of that line just couldn’t seem to finish tonight. Can Dan Girardi Please Share His Superpowers With The Rest Of The Team? Three weeks ago I, along with many Rangers fans, were freaking out at the fact that the invincible Dan Girardi was a late scratch and missing the third and fourth games of his seven year NHL career. Why were we freaking out? 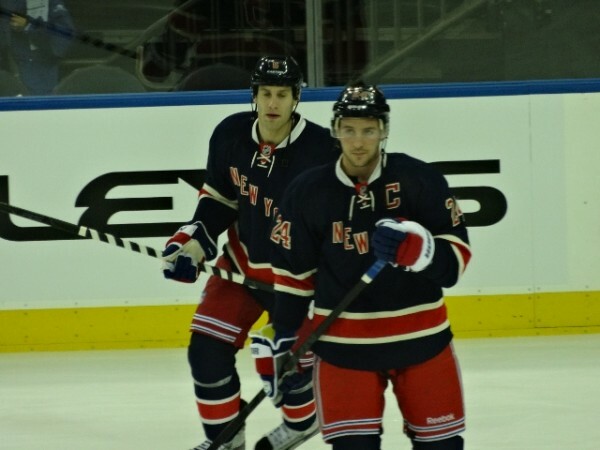 Because Dan Girardi doesn’t miss games. Period. Case in point – after doing what he does best, blocking a shot, the man couldn’t get himself off the ice at the end of the Montreal game Saturday night. His facial expression said worry all over it and worry is what fans did. Sunday it was announced that x-rays came back negative and therefore there was a chance he would be back sooner rather than later. Monday morning he took to the ice for practice and afterwards said he was fine and would be playing today. I am convinced he has some type of superpowers and would like him to share them with the rest of the team (specifically his best friend and defense partners). I also really want to know what kept him off the ice for those two games. If I hadn’t heard he was seen in the pressbox those days, I would’ve assumed he was lying in a hospital bed barely breathing because the man just doesn’t miss games. Who Will Be Playing Defense For The Rangers This Week? Today is the moment of truth. Depending on when you read this will depend what we know about the Rangers defense. The Rangers have practice at 11 am EST this morning. Will Michael Del Zotto, Dan Girardi or Ryan McDonagh be a part of it? Or will we have a call-up from Hartford on the ice at the training center? My guess? I haven’t a clue in the world. 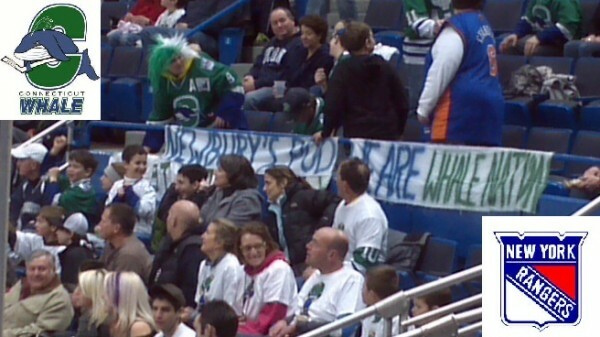 Okay, so the Connecticut Whale are officially in a slump. The Whale appear to be mirroring the parent club, the New York Rangers. There is a reason for that, the New York Rangers have had to stock up on recalls from Hartford. 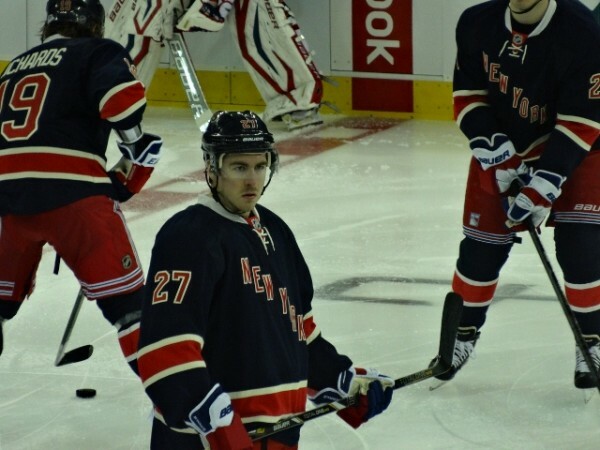 The New York Rangers have Chris Kreider, Brandon Mashinter, JT Miller, Christian Thomas, Matt Gilroy, and Steve Eminger. Now, these are not all players that one would only associate as Whale players, however a month ago nobody pictured them in the roles they have been placed in as of late. With that being said, I still don’t believe that the call ups are the reason for the Whales sudden slump. Furthermore, I don’t necessarily blame the Rangers slump on that either. This is pro hockey, whether it is NHL or AHL, these leagues intertwine because at any given time, in theory, one should be successful in a call up or conditioning stint with their affiliate. These two teams in particular have the same calls, plays, and systems. I am not saying that any defensive player can be called up and become Dan Girardi, but what I am saying is that these losses are bigger than Rick Nash with the Rangers, and bigger than Brandon Mashinter with the Whale. The Week Ahead: Where’d The Team Go? Soooooo… the losing streak in Montreal continues. Injuries aren’t an excuse but as much as the team wants to say they’re not a reason for the current streak of rotten luck, when you lose anchor players, you lose momentum. Look at the players who aren’t on the ice: Asham, Del Zotto, and Nash are out and there are injury “concerns” for Girardi and McDonagh (who left in the second period last night after a nasty boarding by Pacioretty). They’re key team members. As strong as our rookies are (and they’re pretty good), they can’t run the team, as we’ve seen the last two games. Who is going to step up and be the warm little center everyone else rallies around?